At the Lenovo Tech World 2016 in San Francisco, Yang Yuanqing, the Chairman and CEO of Lenovo announced the first consumer facing Project Tango smartphone during his keynote address on yesterday. For a consumer launch, Google has graduated from the project phase whilst keeping it Tango. The first device to feature this new technology will be the Lenovo Phab 2 Pro, a smartphone Lenovo has design in collaboration with Google. The new technology makes “AR and VR as pervasive as your GPS.” In other words, Tango is centred around the cameras vision with sensor setup that provides motion tracking, depth perception, and area learning. This can enable augmented reality applications like indoor navigation and mapping, searching, and gaming. With depth sensing, it can use gesture tracking in virtual reality. The smartphone will become globally available on retail shelves in September, and Lenovo said they are expected to start shipping from online stores in August. The Lenovo Phab 2 Pro is priced at $499. UK price will differ slightly, hopefully. We saw the first Lenovo Phab at IFA in Berlin last year and whilst a good looking device it was not destined for our shore. So the Phab name is not one well known amongst the British public. Additionally, the Lenovo Phab 2 Pro houses the depth-sensing, infrared camera with an imager and an emitter, as well as the motion tracking camera. It also sports Dolby Atmos audio technology for its speakers, apart from Dolby Audio 5.1 Capture technology for recording 3D sound. Also mentioned was a new, special, Tango app store featuring 25 apps at launch, with the hope to reach 100 apps by year-end. 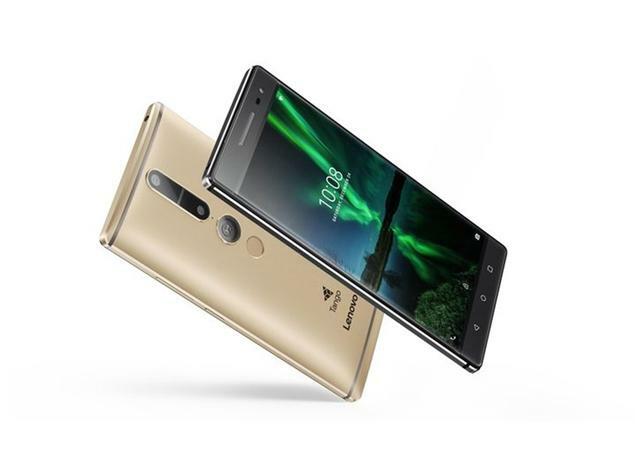 In addition to the Phab Pro 2 the company also announced the Lenovo Phab 2 (priced at $199) and the Lenovo Phab 2 Plus (priced at $299). Both smartphones feature 6.4-inch displays, but where the former features an HD display, the latter bears a full-HD display. The Phab 2, with a 13-megapixel rear camera and a 5-megapixel front camera and a quad-core MediaTek MT8735 SoC, coupled with 2GB of RAM. The Phab 2 Plus with dual 13-megapixel rear cameras with Fujitsu Milbeaut imaging software, and a 8-megapixel front camera, an octa-core MediaTek MT8783 SoC coupled with 3GB of RAM and the fingerprint sensor on the rear panel seen on the Phab Pro 2.